Why a Cape Cutter 19 ? Having seen the instrument arrangement on Mike Brookes circumnavigation boat Sea Badger, I have also made a swing out instrument panel. 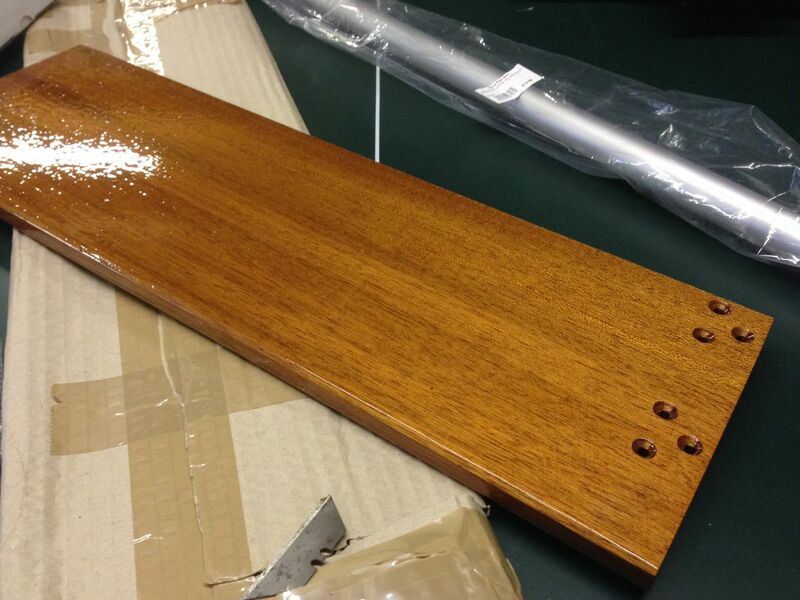 this swings out from hinges on the reverse side of the companionway handle. The only issue is that the handle is not vertical and the hinge needs to flick through more than 180 degrees, so the hinges were difficult to find and then they need shimming to the vertical. When fixed in place the instrument can be attached and the mic from the vhf ( screwed into the roof next to the companionway) will have its clip fitted so easy to reach. 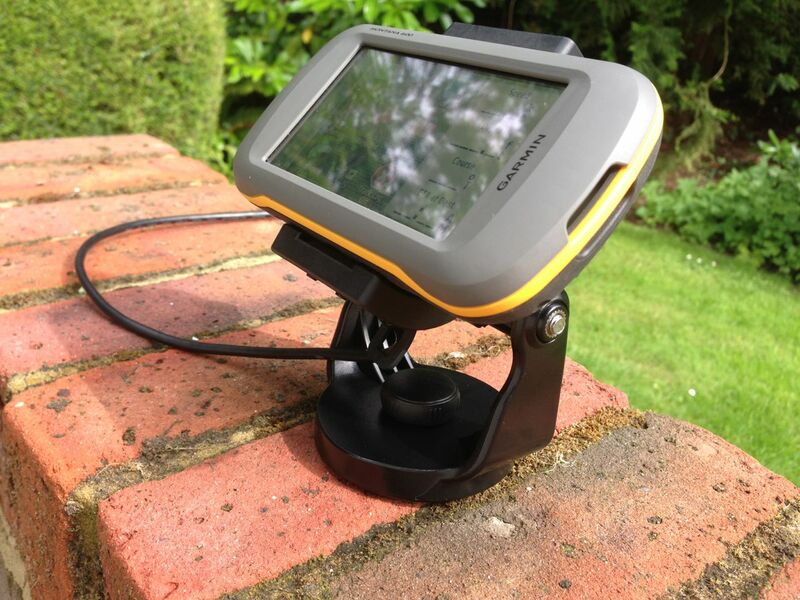 I had bought the excellent Garmin Echomap 50s which would have worked well as it gave me depth, GPS Speed and chart plotter all in one without a hole in the hull. However a change in requirements for another boat meant I started looking at handheld alternatives. Accepting that for depth I would need a seperate nasa instrument, I considered using maps on an iPhone or iPad in a case, but good though they can be for passage planning, they are not sunlight readable and my experiments showed them as just not workable. The Echomap went back and was exchanged for this. 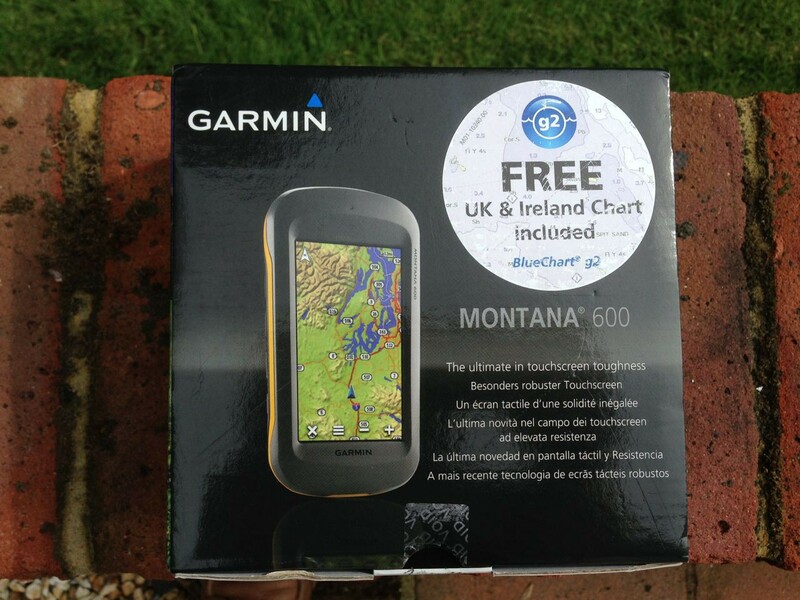 The Garmin Montana in marine pack package comes with all the charts I need and is very power efficient and clear as a bell when viewed (without sunglasses) in bright sunlight. 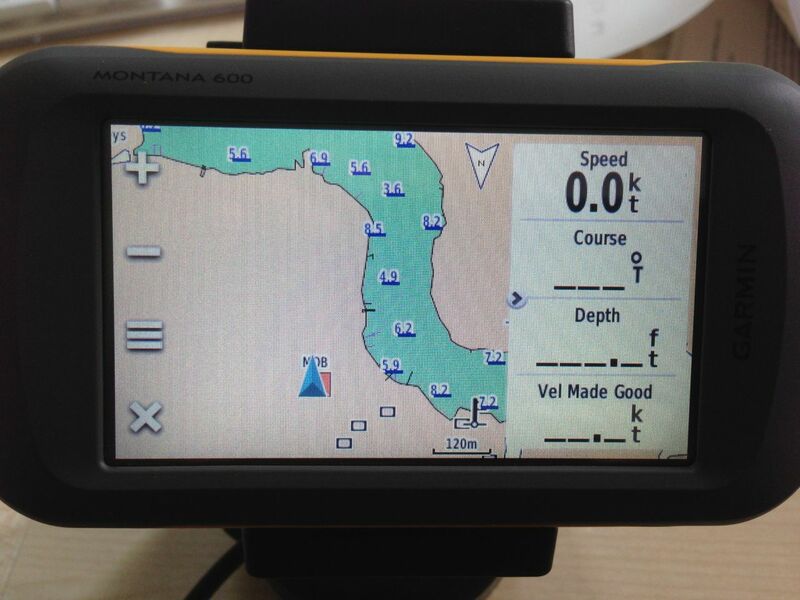 Its angle of view is a bit more limited and the screen smaller than the Echomap, but its cheaper, chart detail is identical and its large enough for a small boat like the CC19. Yes… it has a depth field and a few calls confirmed that if you fit an intelligent (i.e. powered) transducer it can give depth! if you download the Garmin program for the iPad you can also plan journeys, edit waypoints etc and then wirelessly transfer them to the Montana. That means that I get most of the required functionality I was after with the original unit in a handheld which I can use elsewhere – result!! Just need to bolt in the panel, fit the transducer and wire it all up now.